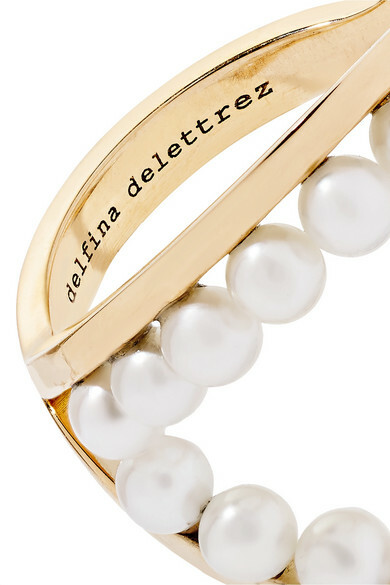 Delfina Delettrez has the unique ability of creating fine jewelry that feels vintage and modern at the same time. 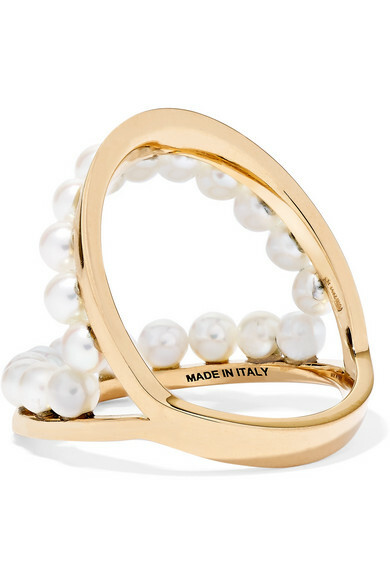 This knuckle ring is carefully handcrafted from 18-karat gold in a hoop silhouette and topped with rows of freshwater pearls. 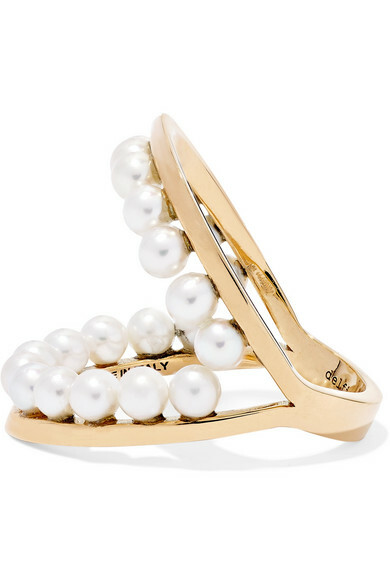 We love that it can be worn at the knuckle or lower on the finger. Shown here with: Joseph Trench coat, Adam Lippes T-shirt, Delfina Delettrez Bracelet, Delfina Delettrez Necklace.